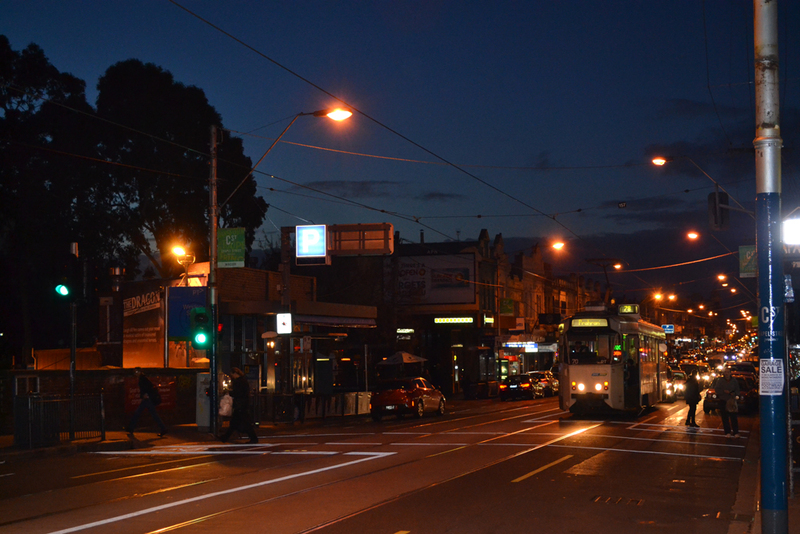 Chapel St, St Kilda. The location of many of Melbourne’s most renowned nightclubs. The Coalition government has announced an extension to the ban on new venues selling liquor after 1am continuing the policy first introduced by the former Labor Government in 2011. The ban was continued with the same aims it was brought about; with the stated desire to combat alcohol related violence. However many in the liquor industry feel the extension of the ban places a great amount of responsibility upon bars, pubs and clubs when many real causes and issues surrounding the problem remain unaddressed by government. ‘I feel much of the problem with violence is caused by lack of sufficient late night transport.’ says Trevor Hines, General Manager of the Temperance Hotel, Windsor. Marco Martinez, bar manager of LALA Land in the Melbourne C.B.D also feels transport is a key to combating alcohol fuelled violence. 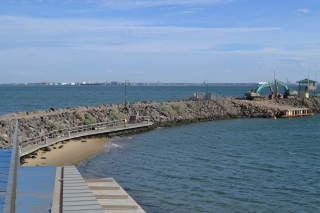 A Channel 7 report suggested the little penguin colony at St Kilda Harbour is endangered by construction of the breakwater extension. This has been rejected by numerous groups associated with the project. It was reported that the colony was under threat by bulldozers constructing the breakwater extension. This has been rejected by Nicole Kowalczyk a penguin monitor for Earthcare, a non-profit environmental group that seeks to conserve the penguin colony, who said the redevelopment has seen all relevant groups working well together and that the workmen on site are helping lead the effort to keep the penguins safe. “If we have concerns about penguins being in the rocks they [the construction teams] will listen to us and they will take steps to ensure the area is managed safely when working near it. There are associated risks with this project but all involved parties are doing everything they can to minimise them“, said Ms Kowalczyk. Charlie Harris, managing director for NSC Australia who is assigned with the task of constructing the new breakwater also feels the report overlooked substantial factors. Formula One fans celebrated the 60th anniversary of the first Grand Prix at Albert Park last month. This milestone has come alongside the revelations of the events cost, which have amplified debate surrounding the Grand Prix. It was the first time since the Kennett government brought the race back to Melbourne in 1996 that the annual hosting fee of $57 million was made public following a leak in January. It also comes just before negotiation of a contract extension is due to get under way in the second half of this year. The current contract expires in 2015. Given that we host the Australian Open, Melbourne Cup and Australian Grand Prix, we love to boast we are Australia’s sporting capital. Central to the Grand Prix debate is its impact beyond Australian shores. Australian Grand Prix Corporation CEO Andrew Westacott says more than any other sporting event the race cements Melbourne as an international city. “The Formula 1 Australian Grand Prix remains the jewel in the crown of Victoria’s major events calendar,” said Mr Westacott.